Trustees of the Norfolk Archives and Heritage Development Foundation (NORAH) make decisions about the charity’s activities of NORAH. Administrative and secretarial support is provided by the Norfolk Record Office. 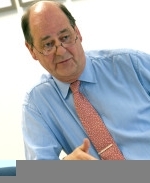 Peter retired as Chief Executive of The Quality Assurance Agency for Higher Education (QAA) in 2009, after a career in and around higher education administration, including as Deputy Secretary of the British Academy and Secretary of the University of Leicester Medical School. He now chairs the British Accreditation Council and is a Trustee of Richmond, the American International University in London. He was also previously Chair of the Leicester Group of the Victorian Society. Peter now lives near Honing. He is keen to see NORAH develop the potential of local archives and records to enrich the lives of the county’s population by revealing the histories of its forebears and the places where they lived. Following a successful worldwide career in investment banking, Peter came to Norwich and the UEA in 2003, where he took an undergraduate degree in social history. Since that time he has been involved with charities and social entities both local and national, either at trustee or board level, or as an adviser to senior executives and board members. He is currently a trustee of Consolidated Norwich Charities, which includes the Freeman’s Charity, and involved with setting up a Mental Health Charity. In addition he remains a business mentor for young people in the Princes Trust programme. Peter is a livery man of the Worshipful Company of World Traders and Freemen of the city of London. He retains close connections with the City particularly, the CASS Business School and the Association of Honorary Treasurers. 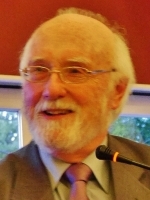 His retained his links with his historic studies including editing Colman’s Connections , The War Years 1914-1918, a project run in connection with Norwich HEART. Alan has lived in Norfolk for fifty years. He has an academic background as a historian, having read history at Corpus Christi College, Cambridge. After graduating, he taught history at Norwich School before being called to the Bar in 1975. While teaching in Norwich, he was a frequent visit to the record office when it was in the central library, studying medieval archives. In his subsequent professional career, Alan has worked as a barrister and a part-time member of the judiciary. He is a member of Keating Chambers in London specialising in building contract disputes and property law. After a successful career in both the voluntary and public sectors Brian retired as Chief Executive of Voluntary Norfolk after over 10 years in post. Since retiring he has become a Trustee and Company Secretary of the Norfolk Museums Development Foundation in addition to his position with NORAH. Brian also Chairs an External Advisory Board at the UEA and is a Fellow of the Royal Society of Arts. He brings considerable experience and skills in governance and fundraising to NORAH. 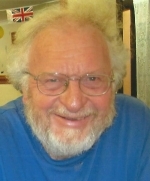 Christopher is a South Norfolk District Councillor, representing Cringleford Ward. He is the Chairman of the Norfolk Records Committee. Christopher has a long standing interest in history. In 2009, the University of East Anglia awarded Christopher a PhD for his research into Tudor and Stuart History. 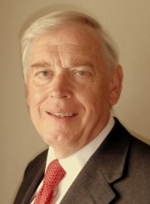 Christopher is a semi-retired solicitor with offices in Loddon, Bungay and Halesworth. David Stannard was born and educated in Norwich. After pursuing a career in the international oil industry as a geologist he returned to Norfolk in the 1980s; initially working in local government as an Economic Development Officer, followed by a teaching career lecturing in Business Studies at Norwich City College. Living close to the beach he has had the opportunity over many years to pursue his geological, archaeological and historical interests, especially through the Eccles Lost Village Project. Retired, when not catching herring in his small longshore fishing boat, David regularly publishes both academic papers and popular accounts on various aspects of Norfolk’s coastal history; and lectures on these subjects to special interest groups across Norfolk. Dr John Alban is an Honorary Senior Lecturer in the School of History at the University of East Anglia, and was formerly County Archivist of Norfolk, 1997-2013. 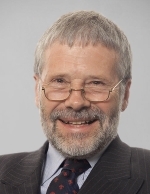 He has served on the boards of numerous cultural organizations, including as a Director and Trustee of the East of England Museums, Libraries and Archives Council, and as Chairman of the East of England Regional Archives Council. Previously City Archivist of Swansea, he also taught courses in local history, medieval Latin and palaeography for many years at the Universities of Swansea and Cardiff. His PhD thesis (University of Liverpool, 1976) was on ‘National Defence in England, 1337-89′ and he has published extensively on aspects of local history, heraldry, archives and the Hundred Years’ War. He holds fellowships of the Society of Antiquaries, the Royal Historical Society and the Historical Association. Julian currently works as a researcher in the areas of history and current affairs, with a particular interest in political archives. He is also the communications officer for the Ramblers in Norfolk and has a similar role for the Norfolk and Suffolk Long Distance Walkers Association. Michael represents the Docking Division on Norfolk County Council. 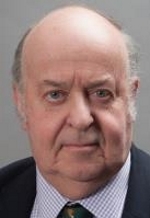 He is also a Councillor for the Borough Council of King’s Lynn and West Norfolk, representing Rudham Ward. 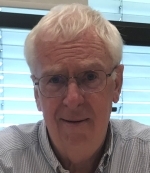 Michael was the Vice-chairman of the Norfolk Records Committee and has a long standing interest in history, especially genealogy and heraldry. Natalie Butler is a freelance Historical Researcher and Heritage Consultant. She completed her BA(Hons) in History & History of Art and MA in Landscape History at the University of East Anglia. She has previously worked for the Norfolk Museums and Archaeology Service and the National Trust, and now enjoys the excitement of working on projects throughout East Anglia. 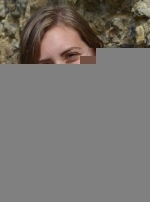 Natalie is passionate about local history; she volunteers for the Church Conservation Trust as a Site Inspector, regularly visiting five churches in Norfolk under her care. She has a particular interest in settlement patterns in East Anglia from the mid-Anglo Saxon period to the early Medieval. Natalie is excited to see NORAH working with organisations to realise the full potential of Norfolk’s rich archival resource.